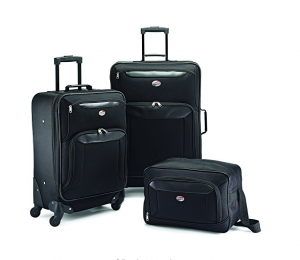 Unlike the Samsonite Centric 3pc Hardside (20/24/28) Luggage Set, this set has been designed to border on the budget suitcase line, while offering high quality and modern features. You can tell straight away when looking at it that it is not packing all the features and modern quirks that some of the suitcases do, however, it will definitely do the job that you have bought it for. The ultra-lightweight fabric is strong and durable, along with the well-made frame and support structure, this suitcase set has been designed to last. 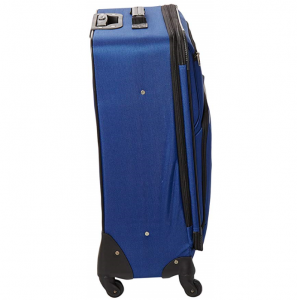 On the bottom of the suitcase you will find four multi-directional spinner wheels, and along with the telescopic handle will make it easy to travel with. There are two colors to choose from, whether you would like to go for black or blue, neither of which are too outgoing. On the outside of the two upright suitcases you will find two exterior pockets, allowing you to easily store any travel documents or travel essentials for easy and quick access while on the go. Inside the two suitcases, you will find a large main compartment along with tie-down straps to keep your clothing in place. On the other side, you will find a mesh zip lined pocket which is perfect for holding any loose items or valuables, all while keeping your suitcase tidy and everything in place. On the outside of the tote bag, there is a large pocket for easy access. The main compartment is accessed by a top zip which opens directly into the single large storage compartment.  The American Tourister Brookfield 3 Piece Set is a budget set, and therefore does not come with as many features as some of its rivals, however, it does still have some that have become a necessity. 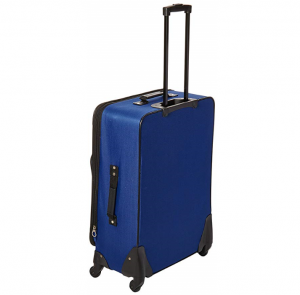 Unlike the Rockland Luggage Varsity Polo Equipment 4 Piece Luggage Set, the Brookfield set comes with four multi-directional spinner wheels, which allow for easy use on a number of surfaces. With the help of the push-button locking handle and the spinner wheels, the suitcase is designed to fit comfortably in your hand, while navigating the airport terminal with ease. The tote bag comes with a SmartSleeve, which allows you to slide it over the telescopic handle of one of the two upright suitcases, making it easier to travel for more bags. There are multiple interior and exterior pockets which will help you keep organized throughout your trip. The tote bag weighs in at 1 lb, which is very light. This is understandable due to the limited numbers of features that this bag comes with. 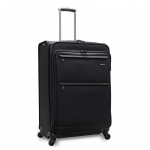 The carry-on suitcase weighs in at 8 lbs, which is considerably heavier than the Pathfinder Luggage Presidential 4 Piece Spinner Suitcase Set and does contain a lot fewer features. The large suitcase weighs in at 9.8 lbs, and given the size and features that it has, it is a reasonable weight for the case. All in all, American Tourister Brookfield 3 Piece Set is on the slightly heavier side, due to the carry-on suitcase and the low number of features that it comes with. The American Tourister Brookfield 3 Piece Set is made from a lightweight and durable 600D polyester material, ensuring that the case will stand up to whatever you may throw at it. Previous buyers have mentioned a couple of points that should be noted, one of which is the telescopic handle is known to fail and stop retracting on the carry-on suitcase. This can cause a big headache, as it will then no longer fit in the overhead lockers and will need to be checked in if it is to be used. Another point worth noting is that the material does not seem to hold up as well as it should do, with it fraying and showing signs of wear early on. 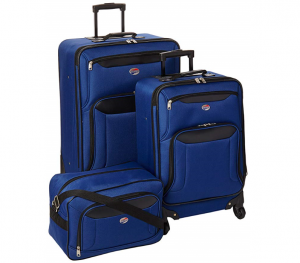 The American Tourister Brookfield 3 Piece Set does look like what you would expect a suitcase set to look like. It does look a little dated and not as modern as some of the more expensive competitors, which is normal considering this is more of a budget set. The Brookfield set comes in two colors, blue and black, so if you are looking for a suitcase set that blends into the crowd, then this is the one for you. The detail on both the color options is black, which helps give a smart and sophisticated look. The tote bag measures in at 15 x 10 x 6.5 inches, which is rather large for a tote bag, ensuring that you have enough space inside to pack what you need for a day trip or overnight stay. The upright carry-on case measures in at 22.9 x 14.5 x 8 inches, which is on the line of whether it will be accepted as carry-on luggage. 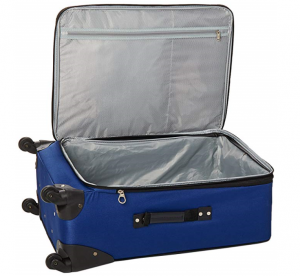 Being a soft-sided suitcase, if you do pack a lot into the case it can expand slightly, which then may make it too large to be within the restrictions placed by your airline carrier. 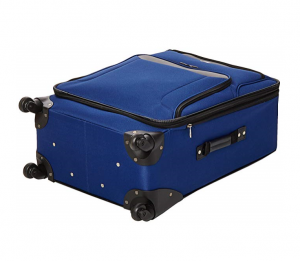 The large suitcase measures in at 27 x 18 x 10 inches, which is not as large as some available on the market today. The American Tourister Brookfield 3 Piece Set does come with a long 10-year manufacturer’s warranty, covering the usual material and manufacturing defects. It will not cover excessive use, wear and tear, and misuse. This is common for a suitcase set, and 10 years is rather long considering some of the reviews from previous buyers. It would be best to register your set and make sure the warranty will cover any issues that may arise. The American Tourister Brookfield 3 Piece Luggage Set is suitable for those who wish to have three pieces of luggage to serve different needs. It is priced low and affordable, yet lacks some of the more modern features or durability that is seen in some of the more expensive sets.